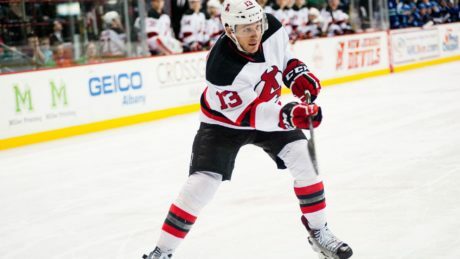 Brian O’Neill emerged as one of the Devils most effective players; he spoke with reporters as the team wrapped up the 2015-16 season. Report from the Devils practice ahead of Game 7. 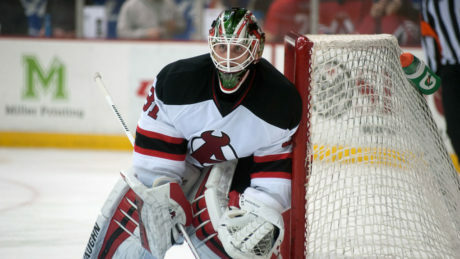 Scott Wedgewood and the Devils held the AHL’s highest powered offense to just one goal in a 2-1 victory Wednesday. The Devils grabbed a 1-0 series advantage against the Marlies. The Devils will try and play a faster-paced game when they face the Comets for Game 4. 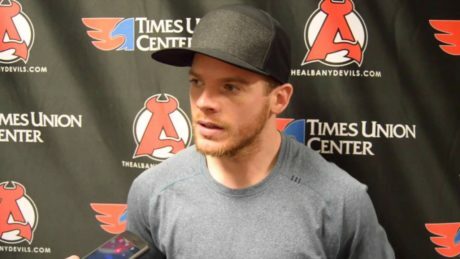 Brian O’Neill breaks down the Devils 2-1 overtime loss at Utica during Game 3 of the Division Semifinals. 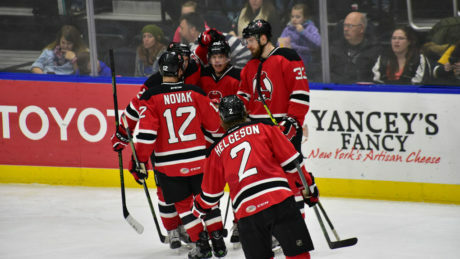 Paul Thompson scored the lone shootout goal, lifting the Albany Devils to a 4-3 victory against the Syracuse Crunch Saturday at Onondaga County War Memorial Arena. 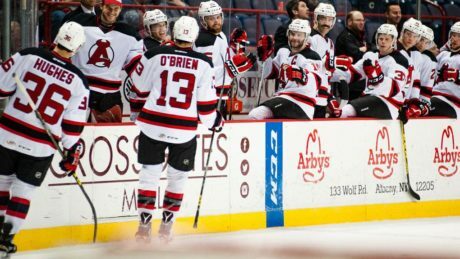 Jim O’Brien scored the game-winning goal 22 seconds into overtime to give the Devils a 2-1 victory against the Senators Friday. 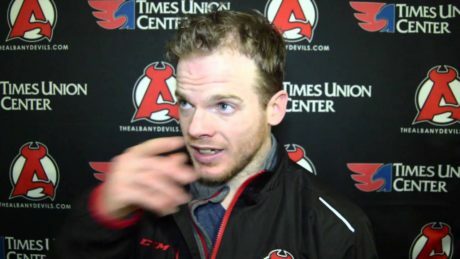 Brian O’Neill, who saw a ton of ice time, talks about the Devils 4-1 win. 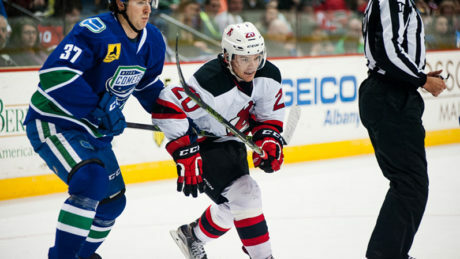 Playing with just 11 forwards, the Devils were able to dominate the Falcons, 4-1, Tuesday at Times Union Center. 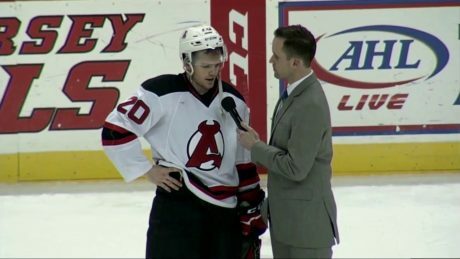 New Jersey has returned Brian O’Neill to Albany. 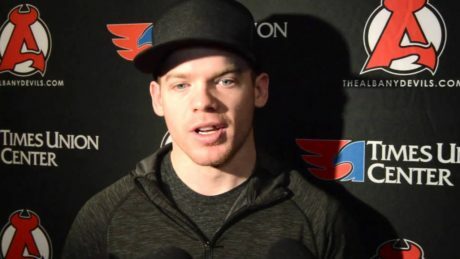 Brian O’Neill missed Sunday’s game with a lower-body injury. He could be back for Wednesday’s game.